The Faith and Doubt of Holocaust Survivors reveals the victims' frank and thought-provoking answers to searching questions about their experiences: Was the Holocaust God's will? Was there any meaning or purpose in the Holocaust? Was Israel worth the price six million had to pay? Did the experience in the death camps bring about an avowal of faith? A denial of God? A reaffirmation of religious belief? Did the Holocaust change beliefs about the coming of the Messiah, the Torah, the Jews as the chosen people, and the nature of God? 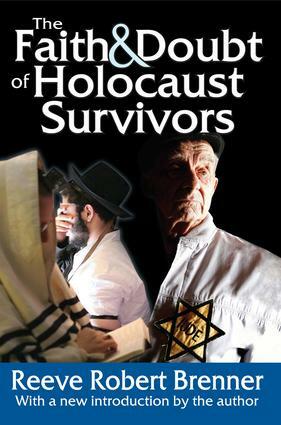 Drawing on the responses of seven hundred survivors, Reeve Robert Brenner reveals the changes, rejections, reaffirmations, doubts, and despairs that have so profoundly affected the faith, practices, ideas, and attitudes of survivors, and, by extension, the entire Jewish people. Many survivors carried their deepest secrets and innermost beliefs silently, from internment to interment. But Brenner's quest provided the impetus for many survivors to end their silence about the past and come forth with their feelings. In poignant vignettes scattered throughout the book, their answers to these profound questions are offered, disclosing ardent, overpowering passions and sensibilities.